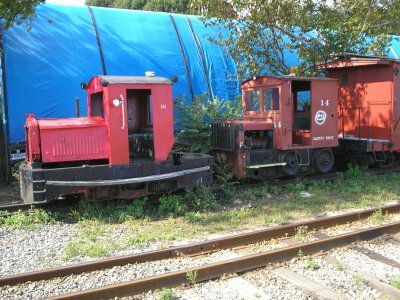 Maine Narrow Gauge Railway, Portland, Maine. On his recent trip to the North East United States, Steve Kemp visited the Maine Narrow Gauge Railway at its Portland, Maine base. This 2foot gauge railway exists to celebrate Maine’s rich narrow gauge heritage and you can discover more by visiting the railways website at www.mngrr.org. The railway operates for about a mile along the Portland waterfront with the main base of operations being at 28, Fore Street. Below are some photographs Steve took whilst visiting the railway. 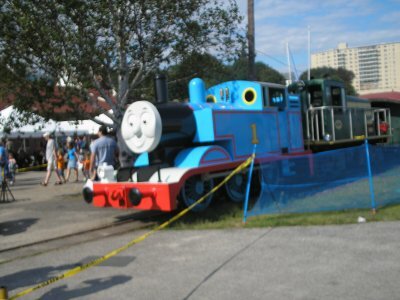 Maine Narrow Gauge Railway’s Thomas The Tank Engine prepares for another run piloting the railways 23Ton 150hp diesel No.1 during the Ride with Thomas event on Saturday 26th August 2006. 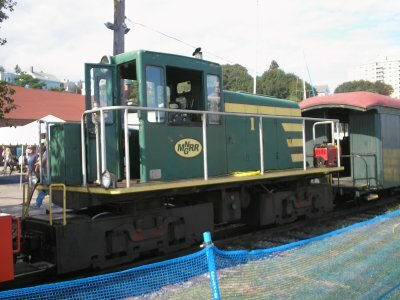 Close up look at MNGRR No.1 a GE built 23 Ton 150hp diesel built in 1949.